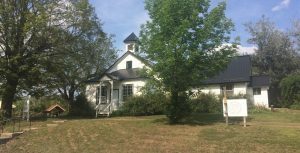 If you receive the monthly MERA Newsletter you will be aware that the MERA Schoolhouse is a busy place. In order to keep programs and events accessible to everyone, fees have been kept modest by design. Your continuing generous support is essential to bridge the gap between program income and operating expenses which will allow MERA to continue to make important contributions to arts, crafts and community events in the McDonalds Corners/Elphin area and surrounding communities. We hope you will consider making an annual tax deductible donation and join our family of supporters. For more information about the MERA Supporter Program click here.